Galway East Tourism - Cregg Castle in East Galway, West of Ireland.Galway East Tourism - Cregg Castle in East Galway, West of Ireland. Neither a hotel nor ordinary guest house, feel completely at home in a 17th century castle. Enjoy conversation & traditional music with your host and other guests by the open fire in the Great Hall. Walk the woods, meet the animals and explore the ancient outbuildings. 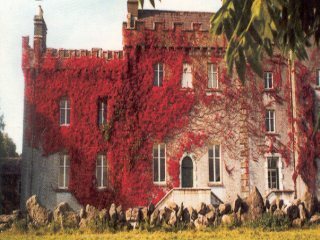 Cregg Castle is Closed for Renovations Until 2009. The owners of Cregg Castle wish to apologise for any inconvenience.